In 1980, at the age of ten, Loung Ung escaped a devastated Cambodia and flew to the US as a refugee. She and her eldest brother, with whom she escaped, left behind their three surviving siblings, and her book is alternately heart-wrenching and heart-warming, as it follows the parallel lives of Loung and her closest sister, Chou, during the 15 years it took for them to be reunited. Their two worlds were very different, and Loung's depiction of the contrast between her life in the affluent West and that of her sister, who navigated her way through landmine-strewn fields and survived raids by the Khmer Rouge, is laced with the guilt she feels about being the lucky one. 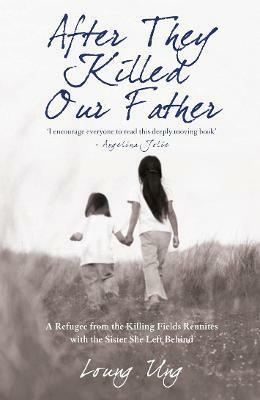 This powerful story helps us to understand what happens when a family is torn apart by politics, adversity and war. It is also the compelling and inspirational tale of a remarkable woman. "Heart-rending and eloquent . . . A moving reminder of human resiliency and the power of family bonds"
Loung Ung is a National Spokesperson for the Campaign for a Landmine-Free World and has featured in the New York Times, Washington Post and Sunday Times, as well as Glamour and People magazines.